​Barcelona manager Ernesto Valverde was understandably full of praise for Lionel Messi after he scored his 400th La Liga goal in the 3-0 win over Eibar. Messi's goal was sandwiched between two Luis Suarez strikes, and helped La Blaugrana retain their five-point lead over Atletico Madrid at the top of the table. 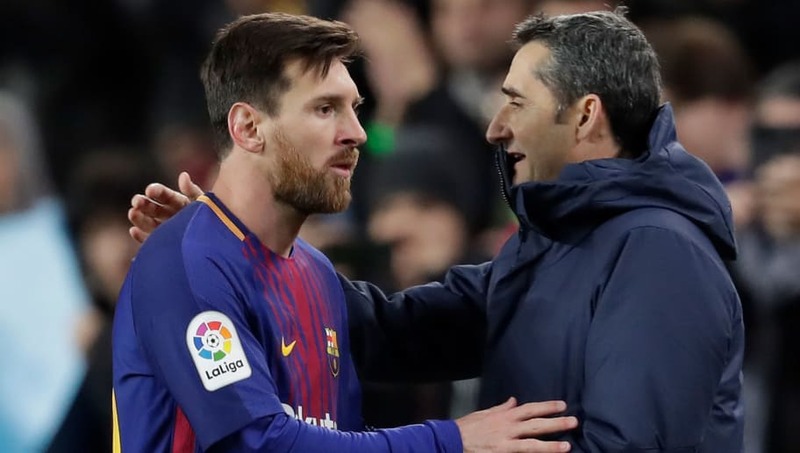 Speaking to Barcelona's official website after the game, Valverde admitted that ​Messi's accomplishments almost beggar belief, before expressing his relief that Barça are in the position they are at the halfway stage. "I think the figures speak for themselves. We don't know if anyone will ever get close to those statistics but he is unbelievable." "We have finished the first half of the season. We wanted to maintain the advantage we had over the teams that are chasing us and we have done that. The game was a tough one, like all the games against Eibar. They always put you under pressure high up the field. Valverde continued by praising the contribution of Phillipe Coutinho, who has speculatively linked with a move away from the club. "He is a player who gave us a lot, who gives us a lot and who'll have to give a lot," Valverde added, as quoted by Marca. "He [Coutinho] played as there are other players who had to rest in this week with three matches, he has incredible quality." On the subject of resting players, the 54-year-old stated: "I'm not sure if throwing away the Copa del Rey means that you win the Champions League. We made some changes the other day and we lost. We hope that there is a good atmosphere next Thursday for the second leg as we try to come back." Barcelona and Valverde will be happy to have returned to winning ways, and will look to carry forward the momentum into next week when they look to overturn a 2-1 deficit to Levante in the Copa del Rey.